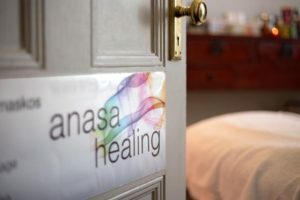 All treatments at Anasa Healing combine the use of aromatherapy oils, candles, and soothing ambient music. 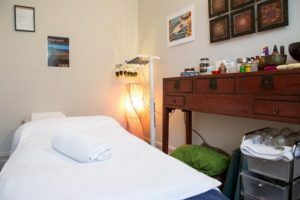 Each treatment combines different styles of massage, such as Acupressure, Swedish Remedial, Intuitive, Reflexology, Sports and Relaxation techniques, according to your individual needs at the time. You will feel rested and rejuvenated after the treatments having felt improvement with pain, and achieving mental clarity. We believe that massage treatments should be a part of people's lifestyle to help assist and cope with everyday life. It also helps prevent the body from illness and pain and enhancing the performance of the individual. Acupuncture is the Art of inserting thin sterile needles into specific body points to improve health and wellbeing. It originated in China more than 2,000 years ago, using the 5 Element Theory and the Yin-Yang principles to restore the balance in the Unity of Body Mind and Spirit. Research has proven that activating the Meridians (the energy pathways in the body), various glands in the body secrete hormones more efficiently, which results in faster repair of tissues, decrease in pain and a state of relaxation. Acupuncture can effectively treat headaches, menstrual pain, back pain, neck and shoulder pain, sciatica, insomnia, anxiety, improves blood circulation, strengthens the immune system and overall increases performance and wellbeing. Using very thin Japanese (sterile) needles and/or (LLD) Laser (that is not generating heat) we improve the skin's appearance by treating the stomach and the kidney points that lubricate and improve the elasticity of the skin. Treating local points in the face where wrinkles, swellings and discolorations are will minimize the effects of aging. Specific herbal (pattern) remedies are prescribed to assist the healing of the skin and contribute to your general wellbeing and energy levels. The duration of the treatment is between 30 to 40 min . 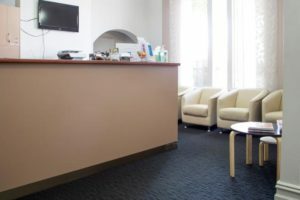 After the initial consultation a series of treatments will be tailored according to your needs. 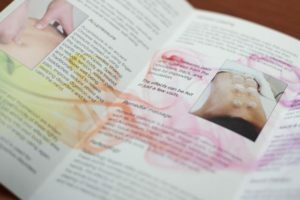 Cosmetic Acupuncture treatments are gentle (there is no pain involved) and they will leave you relaxed and rejuvenated! After a few sessions and following some simple diet guidelines the skin will return to a more radiant and youthful appearance! Acupressure is an ancient Chinese technique using finger pressure on specific parts of the body to reduce tension, increase circulation and harmonize the chi (energy) in the body. Acupressure is a holistic approach balancing mind, body, emotion and spirit. Traditionally used to relieve headaches, reduce stress, pain, improve digestion, sleeping disorders and to calm the mind. Remedial massage is a combination of various western techniques, such as, Swedish, Myofascial, Triggerpoint and Lymphatic drainage Massage. Remedial massage involves deep tissue manipulation alternating with relaxing techniques and stretching, to relieve pain and expel tension from the body. Reflexology is the art of using reflex points on the feet and hands. These points correspond to all parts of the body. The thousands of nerve endings in the feet and hands promote local pain relief, improve the lymphatic flow and strengthen the immune response. Using thumb and finger techniques to activate the nerves and pressure points, traditionally used for headaches, improve digestion, eyesight, strengthen the kidneys and with that the core of the bodies energy. Reflexology also has a very relaxing effect on the body. Neck and scalp massage is a gentle technique using warmed aromatherapy oils applied to neck, scalp, face and shoulders using thumb, hand and finger pressure. We use a combination of various styles such as Indian Scalp and Western Massage, combined with pressure points. It has a profound effect to relax the head, face, neck and shoulders, calm the spirit and slow down the mind. Relieves headaches, improves the sensory organs and brings the patient into a deep state of being. Back massage is concentrating on the back of the body, using a combination of acupressure, Swedish and Tuina techniques with cupping (if necessary) to relieve pain and tension for the neck, back and shoulders. 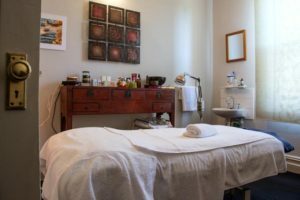 The whole body benefits from the massage because of the nerve endings next to the spine and the various acupressure points which are being treated. Tune -In is a 20' minute 'dry massage' for fast relief of muscle tension & pain or simply for pure relaxation. Tune-In uses Acupressure points along the entire back and gentle stretching techniques that will open and invigorate your body. Tune-In is the fastest way to feel energized, calm down and to get in tune with yourself!! You will be ready for action in just minutes, and that makes it the treatment of choice for lunch breaks. It's smart to be Tuned-In in today's busy lifestyle. Cupping is an ancient technique used in many different cultures all over the world. In modern times we use glass cups to promote circulation and relieve stagnation and pain in the deep tissue of the body. 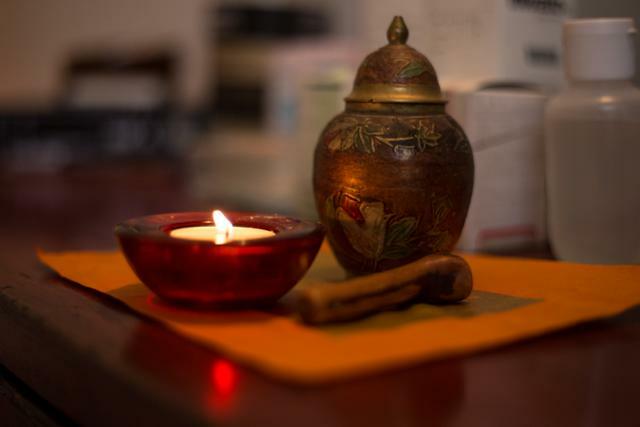 It is a very safe technique using a flame to remove the air and create suction in the cup and then applied to specific parts of the body. Cupping is used to relieve lower back pain, frozen shoulders, headaches and tension in any part of the body using the acupuncture principles. Chinese Herbs are used to compliment your treatments especially where there is a chronic imbalance. Many alignments benefit from the purifying effects of the herbs. Based on a long tradition of several millennial these herbal formulas have been used to optimize the circulation of Qi (energy) and blood, clear phlegm, improve digestion, clear pathogens and bacteria that reside in the body, strengthening the immune system. Excellent to harmonize menstrual imbalances and pain by unblocking the channels in the abdominal area and by improving the quality of blood. Also Chinese Herbal Formulas are being used to improve children's common conditions such as eczema, loss of appetite, hyperactive disorders (by calming the spirit), weak immune systems, bed wetting, asthma and many more. 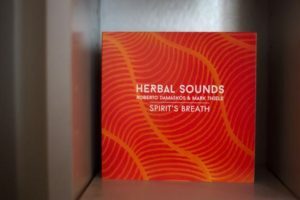 The use of sound for healing is known to all traditions, from the Sufis and the Medicine man to the contemporary Sound Healers and musicians around the world. 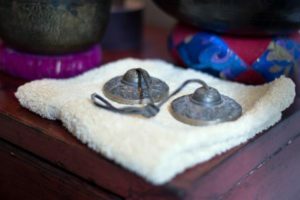 We use slow rhythmical frequencies generated by the Tibetan Singing Bowl or other electronic instruments, stimulates the brain to switch on Alpha Waves the stage where the body starts to relax and the brain produces Endorphins more effectively. The Earths Electromagnetic Field frequency is also Alpha Waves (range between 7-12 Hz) that's why we feel relaxed when we switch to this Natural frequency of our Planet. The Vibration of Sound, opens the Doors to hidden reservoirs of Energy in the body, changing our ordinary perception to a much wider spectrum and so making us capable to live a Harmonious and Fulfilled Life! The Zen Treatment Package is the perfect indulgence, or an ideal gift idea - enjoy a relaxing full body massage using warm aromatherapy oils (50mins), followed by a neck and scalp acupressure treatment (15mins) and a sound healing using crystal Tibetan singing bowls (10mins). Pure Bliss! Give the gift of utter relaxation! 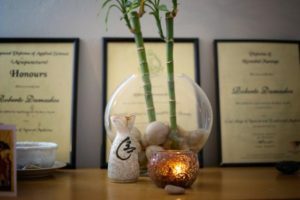 Enjoy an invigorating deep tissue massage using oriental healing oils (50mins), followed by a soothing foot reflexology treatment (15mins) and a session of Chinese cupping (10mins).